Once you open the front door you'll fall in love with this townhome! Spacious and warm with 2 bedrooms & 3 baths in Fox Run with a conveniently attached one-car garage entering directly in to the main level for privacy and security. Enjoy a large, open concept living room with hardwoods and newly added recessed lights. Spend time enjoying the spacious eat-in kitchen featuring a new built-in microwave, refrigerator, dishwasher and ample, recently re-purposed cabinets and updated flooring in both the kitchen and the 1/2 bath located on the main level. Just outside the sliding glass doors off the kitchen is a useful covered back porch overlooking the fenced-in yard with views of open space. There is a full-sized laundry room on the main level. On the upper level, enjoy a large master suite with an attached full bath, a second bedroom, and a full bath. 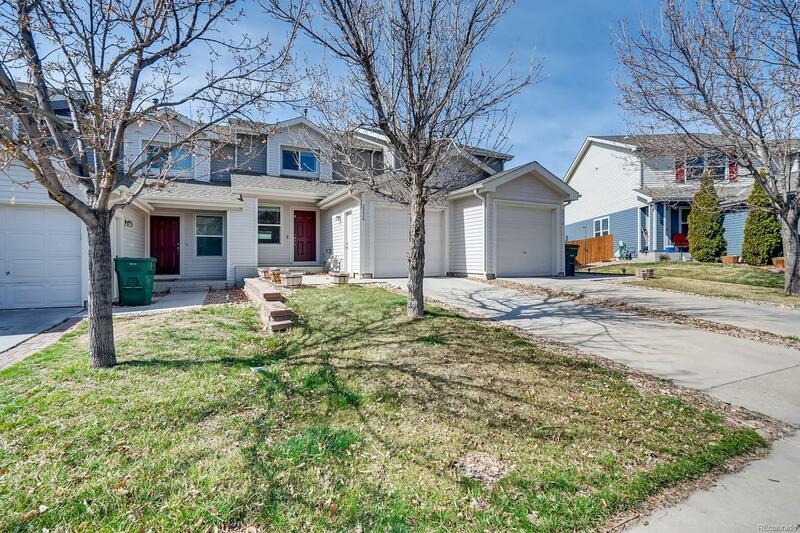 Great location close to new RTD/light rail park-n-ride coming soon, walking distance to parks, rec center, and walking trails.